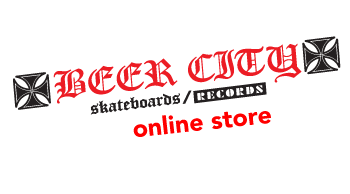 BEER CITY SKATEBOARDS AND RECORDS is proud to reissue THE FACTION - No Hidden Messages. Originally coming out in 1983 and limited to 3000 copies. This has been restored and remastered for a louder, better sound then ever before! The cover of this record was done by former Thrasher photo guru Mofo! Also included is a sick inner sleeve complete with lyrics and an original illustration of THE FACTION by pro skater Lance Mountain! To top it all off only 1500 of these will be pressed and on translucent green vinyl for RSD 2016.